Nice stay for overnight. Decent breakfast with everything. Nice hotel and pleasant staff. Clean room and bathrooms! I liked the size and spaciousness of the room, as well as most of the furnishings. I was moderately satisfied with the cleanliness overall, but the room did have an odd smell. The overall condition was below average. Really nice facility.great service. Room was lovey. Housekeeping, needs improvement. 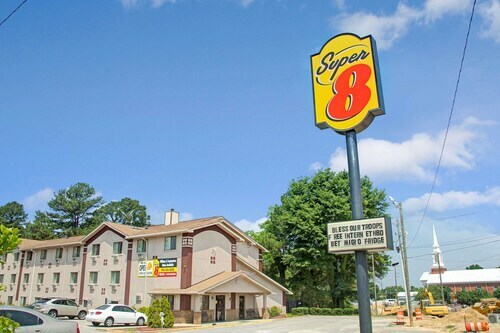 Situated in Spring Lake, this hotel is 0.3 mi (0.5 km) from Fort Bragg and within 12 mi (20 km) of Cross Creek Mall and Pope Army Airfield. Airborne and Special Ops museum and Fayetteville Transportation Museum are also within 12 mi (20 km). Hotel was clean and comfortable. The lobby is dated, but the rooms were clean! The most important thing when I travel. I liked that there were multiple door to enter and exit from with keycard, instead of only using the front entrance. Considering a trip to Fort Bragg during your vacation? To experience it, along with an exciting collection of other attractions, make your way to the well-loved city of Charlotte. 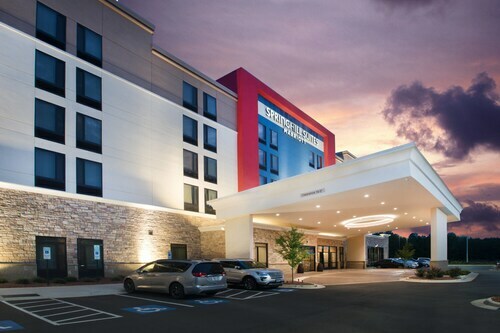 Travelers in search of somewhere convenient to spend the night can select from 24 hotel options within 6 miles (10 kilometers) of Fort Bragg. 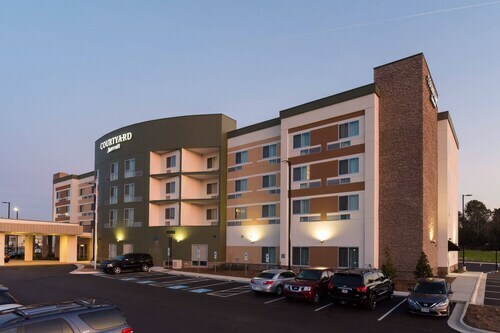 Spend a bit of time comparing the different amenities at the Embassy Suites Fayetteville/Fort Bragg and Residence Inn by Marriott Fayetteville Cross Creek. If you have always thought that travel is actually more about enjoying the local culture than staying at plush hotels, take a look at the inexpensive solutions that are a short commute away. 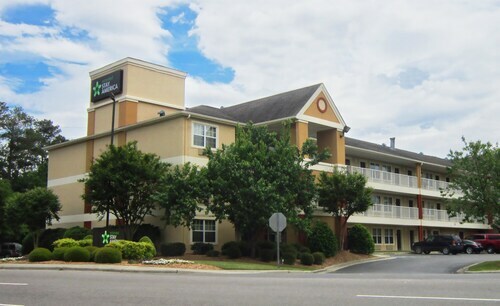 Some of your choices are the Candlewood Suites Fayetteville Fort Bragg and the Sleep Inn & Suites Spring Lake. Focusing on superb coffee and tempting refreshments, Starbucks (Building 42171, Reilly Road, Fort Bragg) is also worth a stop after visiting Fort Bragg. To find a meal that will surely quell a healthy appetite, make your way to Arby's (2240 Reilly Road, Bldg H 4512, Building H 4512, Fort Bragg), which is only 0.4 miles (0.6 kilometers) away. The military-minded among us will enjoy taking a look at Pope Army Airfield. If you make prior arrangements, there's a chance that you can tour the facility. You can find great gifts and souvenirs for your friends back home at Cross Creek Mall. Rememer to buy yourself a few treats, too! Work on your goal kick, perfect your Frisbee-throwing skills or just sit back and unwind at Fort Bragg Clay Target Center. Free up an afternoon and get your game on at Lafayette Bowling Lanes. 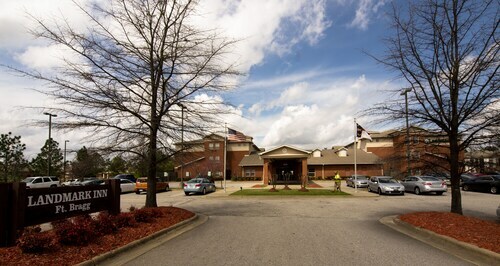 If you are interested in the medical sciences, it is worthwhile visiting Cape Fear Valley Medical Center. How Much is a Hotel Room in Fort Bragg? 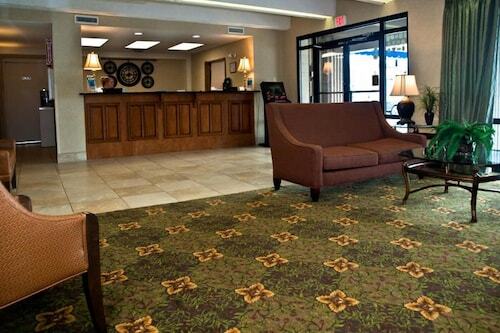 Hotels in Fort Bragg start at $62 per night. Prices and availability subject to change. Additional terms may apply.